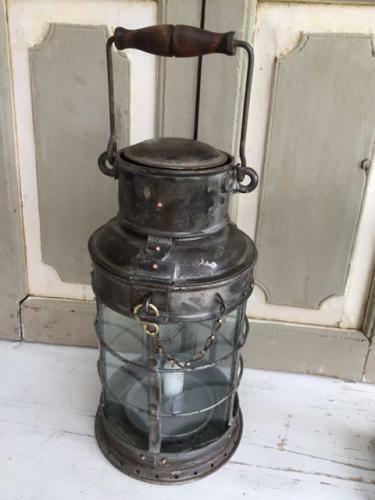 Large Farmhouse Lantern from the early 1900s in excellent condition with all parts complete including enamel reflector. Typical English design, Beechwood handle, brass chain and catch, wide candle fitting inside. All bars complete etc. Ideal in a Shepherd's hut!